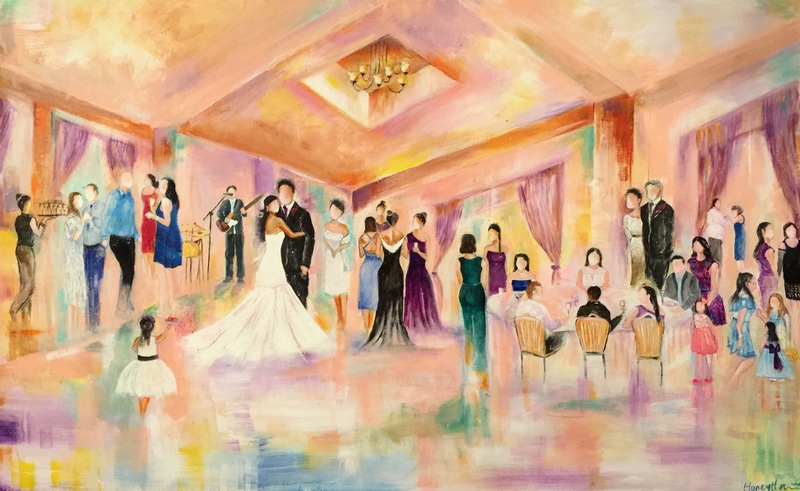 I would love to share this artwork as an example of how I will paint on your Wedding Day. My colleague, Farah, and I both will partner in creating your wedding masterpiece. Please contact us if you would like us to capture the most beautiful moment and day of your life. We charge hourly, $300 per hour. such a dimension will take 3-4 hours. Why Live Wedding Painting ??! 2) You will surprise your guests. 3) Your guests will experience an extraordinary joy while we paint them, we also engage them during the process. 4) You can also keep it secret and surprise your future wife or husband. 2) We will go over the pricing and colour preferences. 3) We will talk about the canvas sizes (it will be a deep 1 inch gallery wrapped canvas). 4) If you would love to frame it, we can offer you the best pricing as well. Honestly no need to frame it, but as you wish, we will provide the service on an extra charge. 5) We arrive an hour before your event starts. 6) When it is done, we will take it back to our studio to do the final touches and will ship it to you or you can pick it up by yourself. You might be interested in purchasing some artworks for your beloved home. You will get 20% discount on your next purchase on any of my artworks. 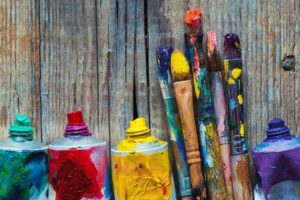 If you want us to paint your events that you have already celebrated, send us a picture or two, so we can create a painting of your event and send it back to you. If you would love your 3 – 5 year old guests to have fun, I can have a lil workshop for them to keep them busy (it will be safe and supervised, as I have my colleague with me).